Today's Image of Mars shows different minerals exposed along a slope in Coprates Chasma, as imaged by HiRISE. 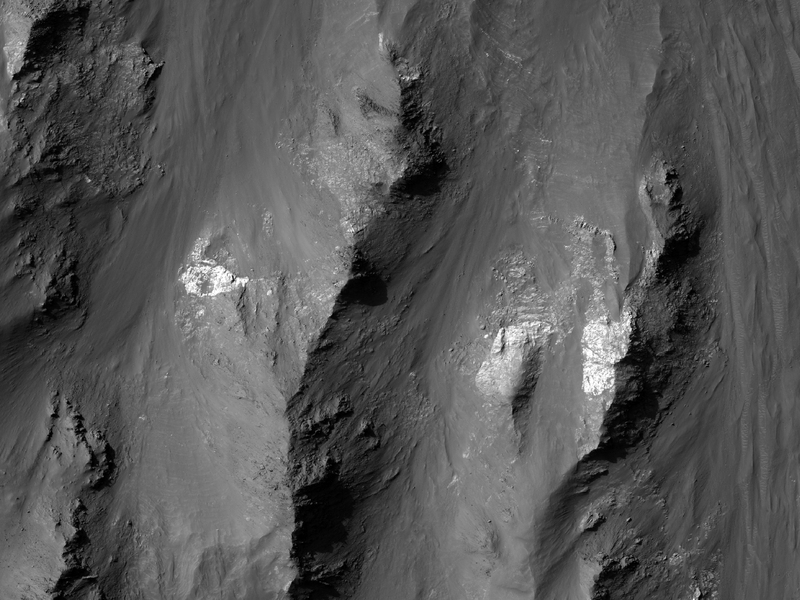 The slope is on the left in this image, while the floor of Coprates Chasma is on the right. The brighter material has been exposed over millions of years of erosion and likely represents minerals that are older than the overlying terrain. It appears that these minerals were deposited at a time when water or ice was abundant. We can tell this by the composition and layering of the material. The material seems to be of a sedimentary nature and it contains layers that are oftentimes seen in materials deposited by water.